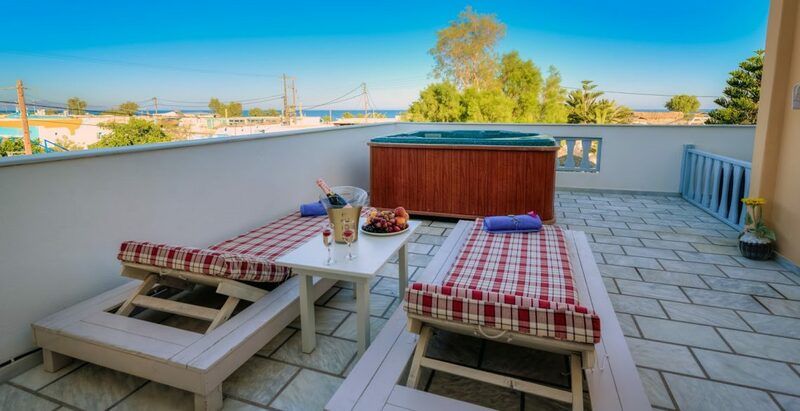 Joy Beach Ηotel ‘s studios feature traditional furnishings with colourful details opening out to private balconies. They include a kitchenette with mini fridge and cooking rings, flat-screen, satellite TV and a spacious bathroom with bathtub and hairdryer. Joy Beach Ηotel is 1 minute walk from the beach. 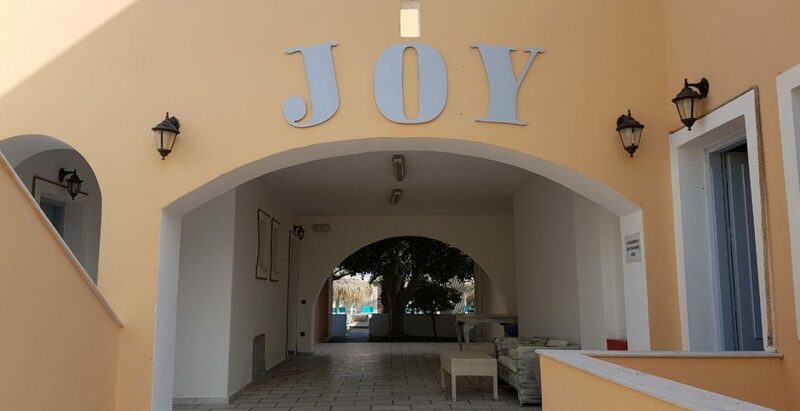 Set right across the black sandy beach of Perivolos, Joy Beach Ηotel features a large pool surrounded by palm trees and a beach bar. 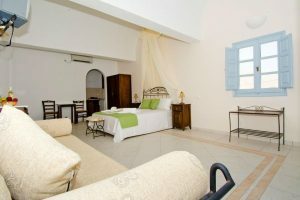 It offers bright, Cycladic-style studios with Aegean Sea, garden or pool views. We stayed there only for a couple of nights, and we are more than happy that we chose it. The place is overall clean, the pool is beautiful and the staff (especially the girl in the reception) are helpful, polite and always willing to help with anything you may need. The low chill out music coming from the jojo club was a nice addition as it was transparent and in no way disturbing. All the other hours (noon, night etc) it was quiet and peaceful. Joy beach was fantastic enjoyed every minute of being there,the staff were amazing and very helpful at all times. Rooms were always spotless when you come back to them throughout the day missing this place already. Win explosive offers straight to your inbox.